Google has been providing excellent services over the years. 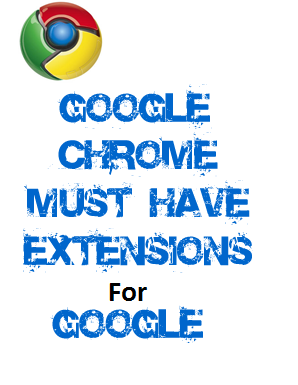 Here are the top 10 Chrome Extensions which will enhance your Google services experience. Install it, just double click any word on any Webssite and you’ll see the definition or you can also type your word by clicking the Google ditionary button which will be right next to your address bar. This a must for a Google Calander user. It puts all the goodness of Google calander in your toolbar. Things like checking your schedule and tasks and getting reminder of your events becomes easy with Dayhiker. 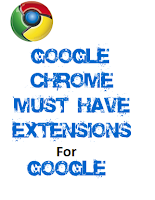 Made by Google, this extension reveals the hidden settings in Chrome which are hidden by default. Reach it via the Settings page of Chrome, and you’ll get options that impact tabs, short cuts, and quick-launch buttons for bookmarks. Attaching a file in gmail is no hassle if the file is on your computer. But if its stored in the cloud( online storage) it can be troublesome. This extension makes it easier to access files on your Google Drive, Box accounts or Dropbox and attach them to message that too without leaving the Gmail interface. Google’s voicemail service utilizes this software to extend right into the browser. It offers on-the-fly access to your messages (with transcriptions), and can initiate VoIP calls over Google Voice. Every phone number you see on a site becomes clickable for calling. Viewing PowerPoint Presentation(.PPT or other) or a PDF file becomes a piece of cake with this extension. Upon clicking any Power point or PDF file you’ll be redirected to Google docs to view the file. You won’t be needing to download it or opening it in Power point or pdf readers. If you like reading RSS feed subscriptions in Google Reade, then this extension is a must for you. The icon in the toolbar informs you of unread posts, and gives you fast access to them. When you search on Google and then skip to a page in the results, sometimes it’s hard to tell exactly why Google thought the page was even relevant. Quick Scroll appears only when needed and highlights the bits of the page that are pertinent to your query. Online Data storage is a breeze with Google drive. It stores your data online,even the big ones, allowing you to access it on the go from anywhere. You can share your files with your friends and Edit your files together in real time! Google Maps lets you find local buisness information, directions, street level imagery around the world. It’s a great travel companion. Previous Previous post: How to Install Iphone and Ipad Simulator in Windows with WebMatrix.